OPEN SUN Apr. 14th - 2 - 4 pm. RARE TOP FLOOR 2-Bdrrn, 2 Bath home in 'The Cumberland'. Delightful I-level home with 1500 sq.ft. 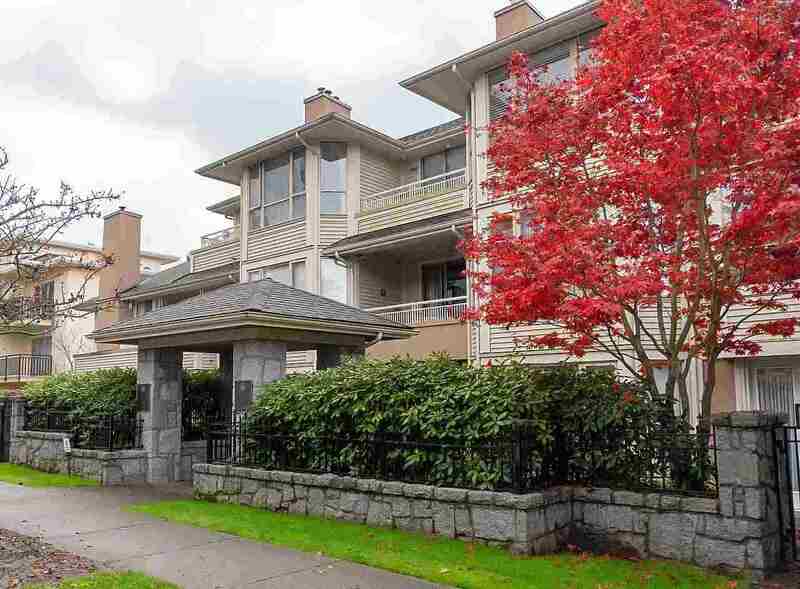 has one of the best floor plans in this high demand Point Grey locale. Enjoy the lovely garden courtyard from your spacious LR/DR & deck. Elegantly upgraded with light oak floors, crown moldings, baseboards, California shutters & designer paint thru-out. New kitchen appliances & home size W&D. Kitchen with a separate eating nook for your morning coffee. Adult Bldg. (45+) amenities incl. indoor pool, workshop, exercise area & social lounge+ 2 U/G parking. No rentals. I dog or cat OK. Easy access to trans., shops & the beach.